The Bridge Street History Center’s Ramay-Macatee Lecture Series continued to offer an amazing evening to a full Historic Granbury Opera House with Dr. Bruce Winders, Curator of The Alamo speaking on his observations about how historical events (such as those leading up to the famous Battle of The Alamo) are simply pieces of a much larger and connected story. He also addressed the varying accounts of the demise of David Crockett of Alamo fame, and husband of Hood County’s own Elizabeth Patton Crockett. 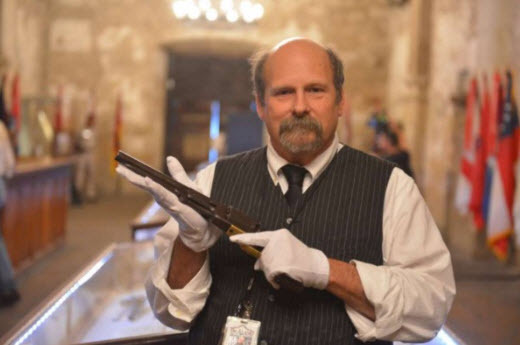 Dr. Winders wove in interesting and sometimes humorous personal stories of his experiences as a history teacher and also of his work and encounters as Curator of The Alamo. Lastly, his account of the Travis letters and efforts to reach the Alamo defenders shed new insight on how those events are generally perceived. A reception and book signing was held at Celebration Hall following the lecture and a good time was had by all. 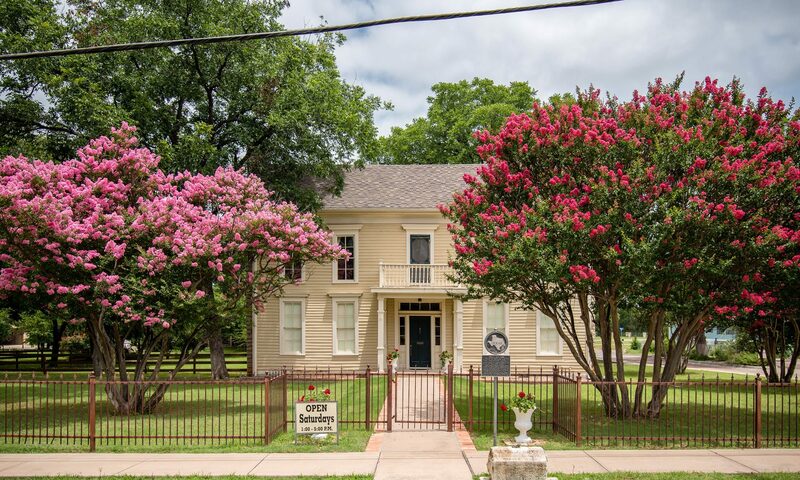 The Bridge Street History Center Committee wishes to thank Dr. Winders, our Corporate Sponsors, staff of the City of Granbury and The Historic Granbury Opera House, Friends and Advisors of The Bridge Street History Center, Ike and Trisha Thomas for use of Celebration Hall, ticket distributors Red on The Square and The Historic Nutt House, any and all volunteer workers and contributors, and especially those folks who took time to attend the lecture.